How do you know what to purchase for your kitchen when you are first starting out? How do you know if a kitchen gadget is really worth buying and taking up space in your kitchen? When my husband I were first married we lived in a duplex with a small kitchen. I had no pantry to store excess tools and appliances. My sister just got engaged and will most likely be living in a small apartment. I thought I’d give her a list of kitchen essentials, favorite tools (most of which are also essentials), and my favorite appliances to help her as she comes up with her own wedding registry and makes plans for her own home. After being married over 7 years, these are the kitchen tools I would replace immediately if my kitchen were destroyed. Most of the others that are taking up space in my kitchen I wouldn’t even miss. You can find the list of my Favorite Kitchen Tools here which also has a few essential items on it and my Favorite Kitchen Appliances as a few more items you might want to purchase! Vegetable Peeler – Don’t get the cheapest one out there. They hurt your hand and break much sooner. Box Cheese Grater – I don’t buy grated cheese so I use this any time I need grated cheese. I also use it to grate carrots for egg rolls, fried rice, etc. Soup Ladle – There not another great option for dishing up broth-y soups. Can Opener – Buy a decent can opener. They cheap ones are a pain. I have this one. My sister has this one and says it is amazing. Pizza Cutter – I have a pizza wheel with a handle. I’ve had super cheap ones and the one we have now is middle of the road. It definitely cuts much easier. Cutting Boards – I recommend two large ones and the small size I have on my favorite kitchen tools list. I’m needing to replace mine, so I don’t have specific recommendations for these. Food Storage Containers – I love my Pyrex set! The perk of having glass is that you can use them in the microwave and they can double as food prep dishes. I also have a set of decent plastic ones that I like. I’ve found that having some mini containers (4 and 8 ounces) has been really useful! Potato Masher – If you make mashed potatoes or a lot of your own refried beans, this becomes an essential! If not, try without one for a while. I have one of the ones with holes in the masher part but I could see how the ones with the wavy metal base would be easier to clean. Haven’t tried that kind though. Pasta Fork – This is only an essential if you use spaghetti or fettuccine noodles. If you use elbow, penne etc you could just use the slotted or unslotted spoons. Whisk – If you aren’t sure if you’d use it, do without. You can purchase one later. Ice Cream Scoop – This is an essential in our home. If you don’t eat ice cream frequently you can use a sturdy regular spoon. My favorite scoop came from Bed Bath and Beyond but they no longer sell it. Airbake Cookie Sheets – Love these! Perfect for cookies, rolls, breadsticks. Get the lighter colored ones. Cooling Racks I think this one looks nice. If you are short on counter top space, check out the stackable ones . 9×13 and 8 or 9 Inch Square Pan – I use these all the time. I actually have 2 of each. Unless you know you’ll be using them a lots start with one of each. All of mine are glass (Pyrex) but you might consider getting one set in glass and one in metal. The metal ones are great for taking places – no worrying about breakage! I also recommend that you buy the ones that come with lids. Measuring Spoons – If you are going to cook or bake at all you’ll want a set, maybe even two. Don’t buy a cheap set. I recommend metal over plastic and prefer a set that included 1/8 of a teaspoon. Measuring Cups – The same as the spoons. These are essentials. If you are a baker, you might want two. Don’t buy a cheap set. I have had plastics ones, and they have accidentally been melted. I also have a cheap set of stainless steel ones and the handles are falling off less than a year later (they just happen to be the first set that currently appears on this link). Liquid Measuring Cups – I have a set that comes with a 1, 2, and 4 cup. The ones that that are angled and you can read standing up make things a little easier but I haven’t seen them in glass. A basic set is fine, no need to spend extra on this. Glass and Metal Mixing Bowls – Get a variety of sizes. Our largest one gets used for tossing big batches of popcorn with butter or making pancakes for a herd. The middle sized one is great for cookies and muffins. The small ones are good for whisking an egg or two. One of my metal bowls nestles perfectly into a saucepan for a double boiler. Pie Pan – You may or may not want this depending on how many pies you want. It can also fill in for a cheesecake pan like in this recipe. Jelly Roll Pan – We use this for oven fries or roasting veggies. Mine is an old uncoated one. Pastry Brush – If you don’t do much baking, you won’t need this. Most often ours gets used for brushing the butter on top of breadsticks. I use one with natural bristles. If you get a cheap one, the bristles fall out way sooner so be sure to read reviews and don’t by the cheap ones. Some people love the silicone brushes. Rolling Pin – I have a traditional rolling pin and a pizza and pastry roller that I love! Do you make pizza, sugar roll out cookies, or tortillas? Then this will be a must. If not try without and on the rare occasion you need a rolling pin try using a bottle. Bread Pan – This is an essential if you are going to make homemade bread. Otherwise you can just use the muffin tins for quick breads. If you really want bread pans for quick breads I love this size . Otherwise I use stainless steel bread pans for my yeast bread. Silverware – In my opinion there is no need to buy silverware that is $50 a setting. One the other had, don’t buy the the cheap stuff. It bends easily, tarnishes, and hurts your hand. We purchased a middle of the road set that we really liked from Bed Bath and Beyond. Using one of their 20% off coupons made it a great purchase. A service for 12 cost under $200. Dinnerware – Fine china was something that I didn’t want. When you are in a small house you most likely won’t have space for storing plates that seldom get used. I love corelle . They are thin and won’t take up a lot of space in the cabinet. Glasses – If you are limited on space, make sure your glasses will stack otherwise they will take up a lot of space. Our came from Ikea and they work great. Next time we’ll most likely purchase something a tiny bit thinner. Hot Pads and Trivets – One or two trivets would be plenty. Hot pads or kitchen towels could always fill in on the occasion you need more. You will want at least 2 hot pads. Wash Clothes and Dish Towels – Enough to get you through to the next wash day. I dislike drying my dishes with the cheap microfiber towels. Look for something that will absorb the water easily. This entry was posted in Family, Food, Organization and Cleaning, Uncategorized on April 1, 2014 by Deanna Michaels. I have an Itty Bitty City Kitchen (I blog about it over at http://ittybittycitykitchen.com) so I’m loving this post about the essentials. Sometimes I see a gadget that I think I have to have, then I calmly remind myself that I only have two drawers. I would add a really good high heat proof rubber spatula to your list. Doesn’t take up much room and comes in handy for so many things – stirring oatmeal, pudding, cake batter, i’ve even used mine to stir soup when all my wooden spoons seem to be in the sink. A fun little idea for the storage challenged like me: I found a really cute ceramic pitcher that I have next to the stove with spoons and spatulas handy. Yes, I completely agree. I use my rubber scrapers all the time. I might even have too many of them. I have them on my list of Favorite Kitchen Tools that’s going up tomorrow. I didn’t know quite how to split up the lists, so I have a few more essentials for my kitchen on that list. The ceramic pitcher sounds like a fun way to store the spoons. I have a plain metal canister but something like that would have a lot more personality. Thanks for stopping by and leaving a comment. What a great list! As I am getting ready to redo my kitchen I am going to assess my current kitchen items and weed out those that I don’t use and get ones that I truly need. Great list! I agree vehemently with most of it, especially your recommendation of Corelle and your warning against cheap veggie peelers and can openers–I had $1 versions of both that lasted over 15 years, and I wouldn’t replace them because they still “worked”, but they took so much extra time and hurt my hands and wrists. I don’t consider a pizza cutter essential, but I guess it depends on how often you make pizza or other foods that use it. It certainly does a better job cutting pizza than a knife does, but I have to remind myself that it exists because we don’t often have tasks for it. The one essential that comes to my mind that isn’t on your list is a rubber scraper. Actually the ones I have now are silicone, which is great because they’re safe with hot foods and don’t stain. I have 3 different widths and use them regularly for mixing batter and getting the last drops out of mixing bowls and any type of container. Oh my goodness, yes! I have had those cheap ones too and they hurt to bad! Yep, I’d agree. Pizza cutter is only an essential if you make pizza frequently. Otherwise if you let it cool slightly you can use kitchen shears. Rubber Scraper is one of my favorite tools – it’s actually on my Favorite Kitchen Tools list that’s going up tomorrow. I have a few more essentials in our home on there. I need to go shopping! hahaha! I love this list. I have to say that I love my bread machine, crock pot and immersion blender. My next big item I want to buy is a food processor. But first I need a new kitchen to put all my stuff in. lol! Love my crock pot as well. I don’t have a bread machine but I love my mixer for making bread easily. I think immersion blenders look super cool but I don’t have one yet. Do you use yours a lot? What do you most often use it on? Space – it’s always an issue, huh! On my wish list is a good blender – a Blendtec or Vitamix look pretty amazing. What a great list!! Even after being married for many years there are kitchen tools I don’t have. There are some I have that I don’t use, so I would suppose that I don’t need them. When we were first married I had a tiny kitchen with only two cabinets on either side of a sink (not a double sink) and I had to store my pots and pans in a SMALL oven. Those were wonderful good old days!! Thanks. Thanks, Judith! Ha ha, my kitchen is the same way. I have some items that just sit in the drawer never touched. I got rid of a few of them last year but I suppose I should go through them again. Oh wow! Our duplex had a smaller kitchen but not that small. Sure you have lots of memories! I’m blessed to have a kitchen with even a pantry now! Years ago when I sold Pampered Chef I would have disagreed with you. But since my life & kitchen is simplified I totally agree! So much more fun to work in the kitchen with space not clutter! 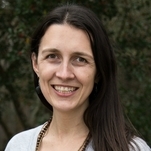 Found you on Babies & Beyond Link Up! Ha ha! Well Pampered Chef does have a lot of great items. Several of my favorites are from them but I haven’t branched much further than that into their products. Maybe that’s a good thing. I completely agree – less clutter makes things so much more enjoyable. I probably need to do another run through of my kitchen and get rid of a few items that never get used. One of my fav essentials is my zester. Love that thing. I love hearing what other people use. For me, a zester is one I never use. If I need citrus zest I typically use the parmesan cheese side of my box grater. Hi Deanna – This is a great list. Thanks so much for sharing with the Let’s Get Real party. Thanks, Gaye! Love my kitchen essentials – makes cooking so much easier. Hi Deanna! I’m stopping in from Let’s Get Real today. This is a really great list. My son is getting ready to set up his first kitchen next year at college. He is planning on cooking, but won’t have a lot of room. This list will certainly be helpful. When I started cooking again, I was amazed at the need for multiple cutting boards. I like them in different sizes. I use some to cut and some to prepare sandwiches, etc on. Pizza cutters are great for cutting quesadillas too. 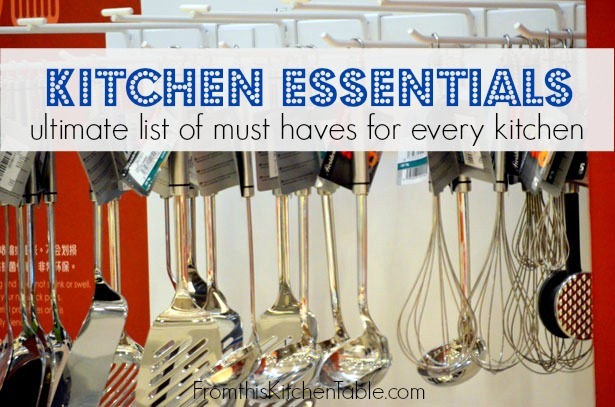 Check out my favorite kitchen tool list too – I have some more essentials for me on there. I agree, I love having multiple size cutting boards. I love my small one. Oh yeah, I forgot my husband does get out the pizza cutter whenever he makes quesadillas. Good reminder. This is a great list! I’m pinning this to come back to it the next time I go to a wedding. That way I can really pick out the essentials on the registry list! So glad you shared this at Frugal Crafty Home Blog Hop! Thanks, Carrie! Appreciate you pinning and hosting. Kitchen gadgets are so much fun and I agree it’s hard to know which items to actually purchase from a wedding registry. I love your list. So thorough! I love kitchen gadgets and do have a lot of pampered chef stuff, and I love everything I have from them. But I like to shop at Bed Bath & Beyond sometimes with the coupons, Target, Walmart, Home Goods is awesome too. Got some new ideas of a few things I may need to add to my kitchen in the next few years. Thanks for posting! I’m the same way! I have a few things from PC (pizza stone, scrapers, mini server) and love getting stuff from BBB with coupons. They really make things a good deal. Sometimes I’ll find something for a great price on Amazon I’ve been wanting to try too. Kitchen lists are so much fun. I love seeing what other people love!